This adorable pillow will make any room cozy this holiday season! 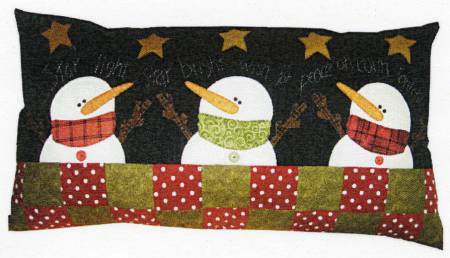 Three darling snowmen don scarves and stand under shining stars. This pattern includes all instructions for the pillow. Finished size is 18" x 33".